By placing the rider in a laid-back reclining position, this bicycle provides support to your back and glutes. Its step-through design ensures easy access to the machine. 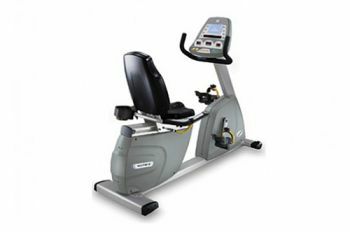 This cycle machine enables users to benefit from the centrally-located seat adjustment handle for easy access from the left or right side. It has an easy to use console with high visibility tactile function buttons, easy to adjust high visibility foot pedals with heel support and resistance adjustments on the handles. It is on the list of IFI’s accredited items that are designed and tested to enable disabled and non-disabled people to benefit from a full-body, cardiovascular and resistance-based workout.